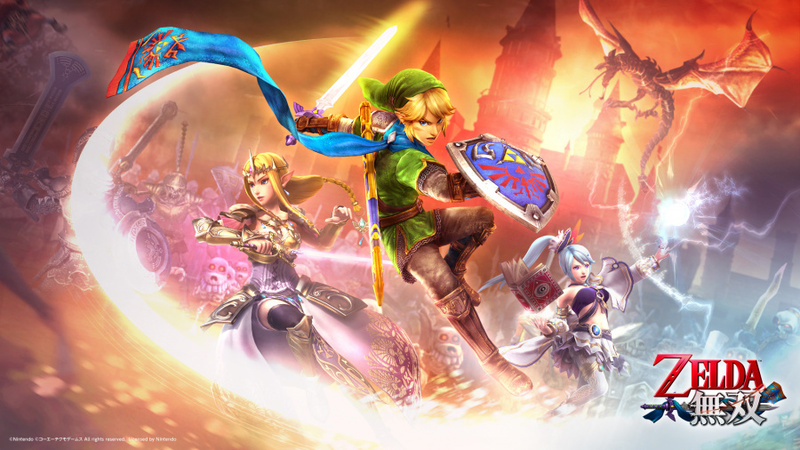 Hyrule Warriors raised plenty of eyebrows when it was announced in December 2013, blending the hack and slash action of the Warriors franchise with one of Nintendo's most treasured IPs. Koei Tecmo did a rather good job, earning some critical acclaim as the release was also generally well-received by fans. It's evidently performed relatively well at retail, too, with recent unofficial fan figures placing it as a stronger seller than some of its Warriors contemporaries, which is impressive considering the relatively limited Wii U userbase. While firm numbers may emerge in upcoming financial reports, the company has nevertheless released some handsome wallpaper to celebrate a landmark of one million units shipped. That's not units sold, it should be noted, but is still a sign of success for the cross-over action title. Regardless of that the wallpapers are certainly worth consideration for your phones and PCs. You can see them below, while the official website link provided at the end offers a variety of resolutions to choose from. 1M? I need to get into this game soon. I wonder if the season pass will be removed later on or it'll stay. Interesting figures. I wonder what lead to this milestone. 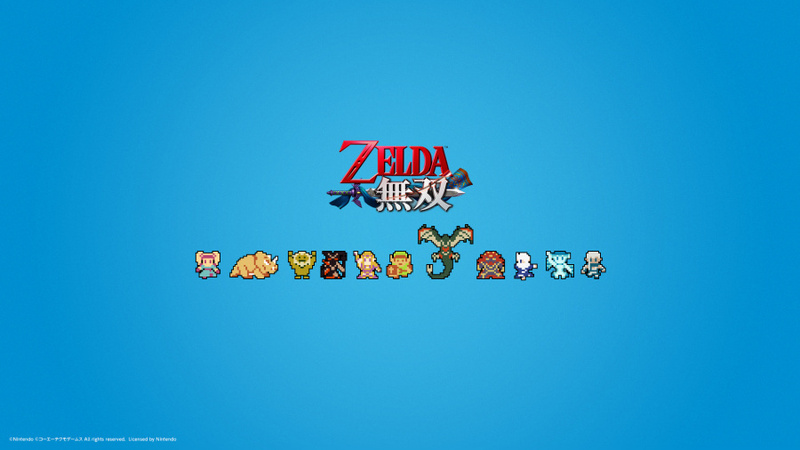 I just hope that this means we'll get two more DLC packs covering Ocarina of Time and Skyward Sword. Nabooru and Groose would round off the roster well, maybe Malon on horseback too? @EllenJMiller I hope for more DLC too but I expect it will take longer as they need to plan it out. Personally I hope for some Windwaker DLC. I am fond of the third one with the different Links on it! I enjoyed HW, great mindless fun with a rocking soundtrack. I loved playing as Gannondorf, he was a machine!! Lana was a fav of mine too. They did say they wanted to do more games with Nintendo. Shipping 1M units would certainly get them noticed by the higher-ups at Nintendo. Thanks, I took the last one! Ah that's great news for them, and it will keep selling for the forseeable future too I hope. This is next on my list just based on the amount of genuinely positive feedback from actual players over reviewers. People seem to love it! Easily one of the best games of 2014, can't wait for the Majora's Mask DLC pack coming out on Thursday! I'm nearly finished with the first Adventure Map, but it's a hell if you choose not to play the others before finishing it. Seems like I could get quite some upgrades for my characters if I played other maps too. On the other hand, those will be easier to finish. I thought they'd sold more of this game than just the 1M, but it's still a good amount of units sold. @Pillowpants Finishing the first map is a wise choice as there are plenty of Master Quest and Twilight Princess challenges which pretty much rely on you having the level 3 weapon of a certain on disc character. My progress pretty much stopped because of Darunia. This is such brilliant game - with sooooo much content as well! It would be epic for some more DLC..... Lorule/Dark World DLC with Ravio as playable, Oracle DLC with Onox and Veran, Minish/Four Sword DLC with Vaati, Majora's Mask second DLC with Skull Kid/Majora, and maybe just throw in Groose and Nabooro because @EllenJMiller had a great idea. Upgrade to version 2.0 and skip the sequel by adding new bosses and maps as well as upgrading the forgotten Challenge Mode. If you mean the sales, that can be easily explained: It has Link on the cover. 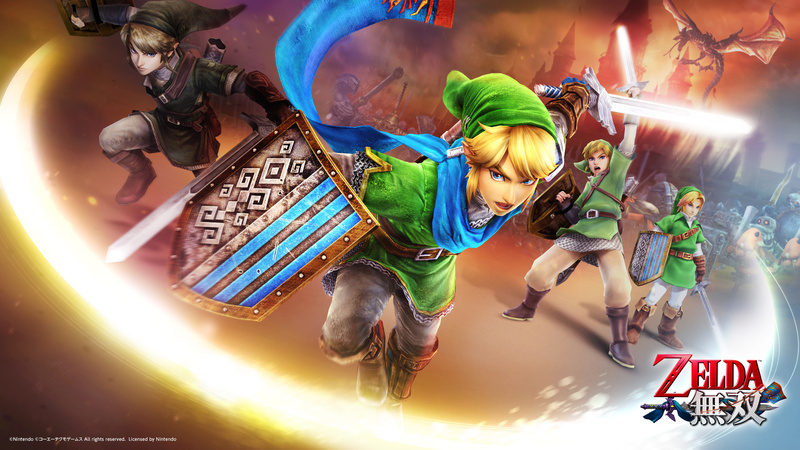 But... those wallpapers have been up since release on the official Hyrule Warriors site. Except with all English text. I know, the previous Warriors game on Wii U, Warriors Orochi 3 Hyper couldn't even get to 100k. That's sad. Apparently Nintendo fans will only buy new or different concepts if old characters are shoe-horned in. It's why Soulcalibur II sold so well on the GameCube. I'm willing to bet that if, say, Samus Aran was included as a character in exclusive Call of Duty content, Nintendo fans would suddenly change their stance on the franchise. Neat. Gotta convert them to PNG for use as my WiiU backdrop. 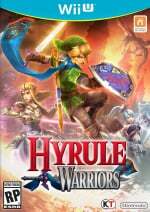 For those wondering what the actual units sold are, Hyrule Warriors sold about 840,000 units and Bayonetta 2 sold 610,000 units as of Jan. 3rd according to VGChartz. Yes, I know VGChartz isn't reliable, but I imagine they're at least in the ballpark. That's respectable sales for both games, and neither are a flop. Was Cia a bit too saucy for inclusion? Completely absent from that first one, unless she's going all Where's Waldo on us. @Vineleaf Makes sense that she isn't in the first one as that is the original playable characters. You'll note that Wizzro and Volga are missing as well. @undomiel Ah, an excellent point. I had almost forgotten that she's DLC and wasn't originally playable. Didn't remember Wizzro. And Volga is rather forgettable to me. While I still love Musou series, Hyrule Warriors is better even than Dynasty Warriors 5 and Samurai Warriors 2 (the very best of Musou series to me). The game is infinity, the graphics are amazing and the gameplay....oh my god the gameply is so unique for each character that's almost unbelievable! Very fun game. A ridiculous amount of content included. I almost forgot Link by default wears that scarf in this game. I'm constantly using either the OOT, TP, or SS costumes (with the occasional Mail Uniform mixed in for those times you just want to go postal). Really love this game just for winding down. Was a big surprise really and I'm still churning through new things. I love how every new weapon (not just character) totally changes the style and rhythm of combat. Impa's naginata is currently my favorite, though it's still a bit low level. Bottom two are the best images. Glad to know the game's selling well. Bought Hyrule Warriors just before Christmas and while I got distracted by other games for a couple weeks, I picked it back up and I'm hooked. Having never gotten into Dynasty Warriors before I'm having a blast with it. I strongly recommend it. @Quorthon There's a pretty big difference between adding Link to a fighting game and designing a whole game around the Zelda universe. If you think they just stuck Link on the cover of a Dynasty Warriors game then you clearly haven't played it. I guess it's sad and you have a point on the oversaturation of Mario you bring up from time to time, but honestly, this is a fantastic matching of franchises that elevated it above its original series in the opinion of many gamers. Not just a character on the box, but the cross section of gameplay ideas are helping to make it successful. In fact, I remember a large amount of backlash against the game from Zelda fans. I was highly skeptical myself. It was the opinions of others talking about it on this site that finally swayed me to give a try. Even the demo didn't convince me. Anyway, the Zelda name certainly helped sales. I just can't find a way to see it as a negative development. I'm seeing progress in the area you are frustrated with as well. Nintendo is still pushing Pikmin against limited success and Splatoon is all original. STEAM is all new and Nintendo is pushing it pretty hard. Nintendo is also pushing Fire Emblem which has been almost invisible to Western audiences in the past. Nintendo made Wonderful 101 possible and championed Bayonetta as well. Animal Crossing is being treated in marketing as a whole set of characters, now. I think it's trying to diversify it's franchises a bit more... Even Yoshi is getting a game that seperates it from the other Mario games quite a bit at least in style. I'd expect Nintendo to be falling back on known money making names even more while Nintendo finds its legs, but we are getting new ideas along with the other. Star Fox is coming back. Marketable? I'm not sure, to be honest. But it shows Nintendo is trying hard not to be just Mario and Zelda. I'm wondering how they're counting digital units. Perhaps one unit sold is one unit shipped? Awwwww, sad face T_T. I ended up liking Hyrule Warriors more than I thought I would, but Bayonetta 2 was still a better game and deserved better sales. Name recognition, that's the name of the game. I put so much time into this game. It's great for co op play also. I havent even touched the twilight map yet and soon we will have the majoras mask map. Way too much to do. That's a good thing though. Congrats! I've only heard of people being very pleased with the game! @PinkSpider Wallpapers or screen savers? I bought a screen saver off there and it was an animated constantly changing one, and I don't remember wallpapers. For me it stands as the most under-rated Wii-u game. It also is my most played game by several hours, beating out Mario kart 8, smash bros & injustice. 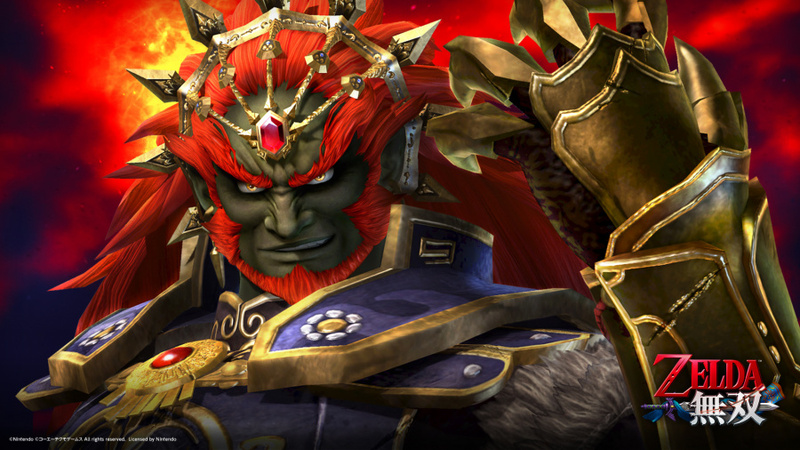 It's a little off topic, but the Twilight Princess costume for Link still looks strange to me. It looks like his face was photoshopped onto the body. Needs more 1440p and 2160p. 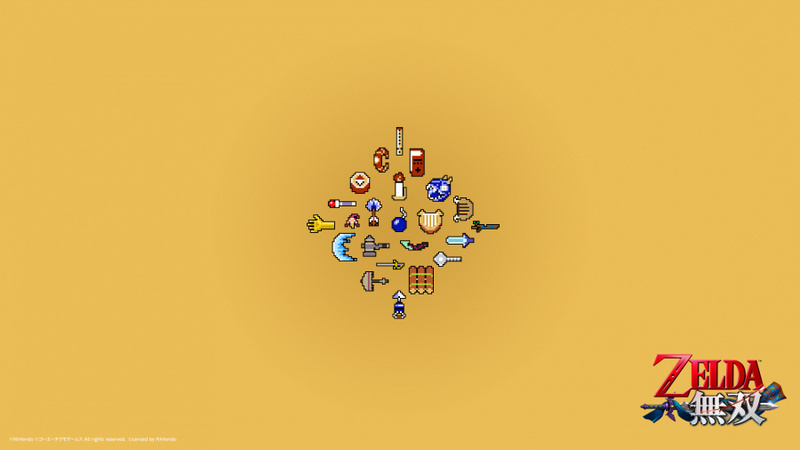 If I didn't just switch to Majora's Mask 3D wallpaper on my laptop after the reformat, I'd take one up! Thanks for the numbers. I wasn't expecting either to do more than 500K in the long run so seeing they've already surpassed that is pretty good news to me. I really do love this game. I play almost every day. IF I don't have a ton of time, its nice to play one or two adventure mode rounds and get on with my day. Everyone who I introduce the game to has a great time with it. There's a lot of button mashing, but there's also quite a bit of strategy as well. With the season pass downloaded, there's an insane amount of content to enjoy. You can also get these at the bottom of the official site. Well-deserved. I've picked it up and put it down for awhile to play Pikmin 2, but I'm playing it again and I'm impressed with what a great job they did paying tribute to the Zelda games referenced. It's a direct result of this that I've finally bought the original NES game and re-purchased Twilight Princess and will buy Skyward Sword again when it (hopefully) appears in the eShop. They put in so many references in the upgrade trees and the little victory movies, just shows a lot of respect for the series and fans and is clearly not a quick cash-in. I definitely like it better than Warriors Orochi 3 (though that has grown on me) and although I wouldn't mind seeing Samurai Warriors IV on the Wii U (they would be foolish not to play to Wii U fans now), I'd be perfectly happy with an HD or even download version of Samurai Warriors 3, which is just brilliant. 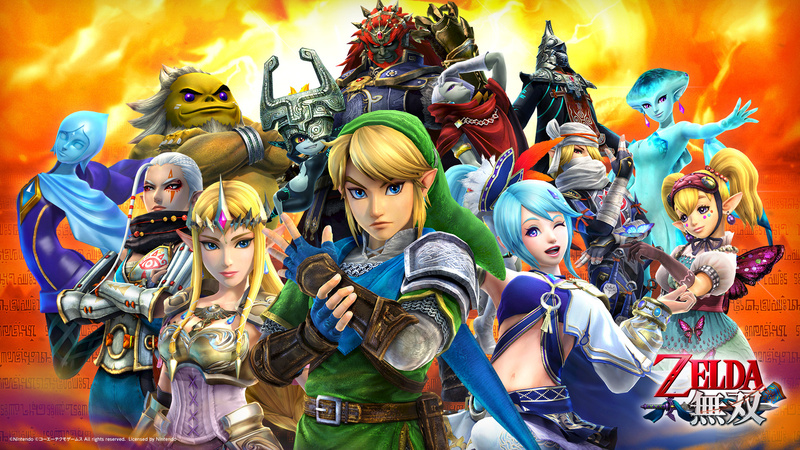 I'm glad to see that hyrule warriors has sold well. I've heard lots of good things and I look forward to getting a copy soon. Bayonetta has also sold pretty well for a Platinum game - the percentage of the install base it's sold to is higher on wiiU than that of it's predecessor. This could be the future of third party games on Nintendo consoles, if so I'll sooner take over shovelware and lazy ports.